Preheat oven to 350°. Grease and flour a 10-in. fluted tube pan. Combine cake mix, pie filling, eggs and oil; beat on low speed 30 seconds. Beat on medium 2 minutes. Pour half of the batter into prepared pan. Sprinkle with 3 tablespoons cinnamon sugar. Add remaining cake mix; top with remaining cinnamon sugar. Bake until a toothpick inserted in center comes out clean, 40-45 minutes. Cool in pan 10 minutes before removing to a wire rack to cool completely. 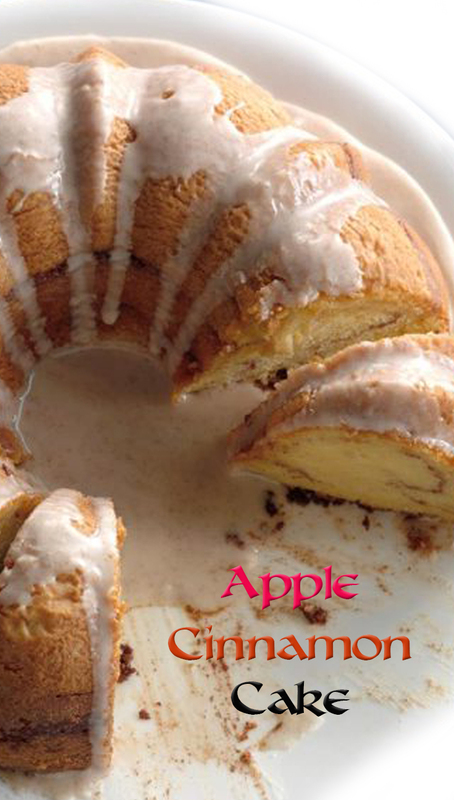 Mix confectioners' sugar, cinnamon and enough water to reach desired consistency. Spoon glaze over cake, allowing some to flow over sides.